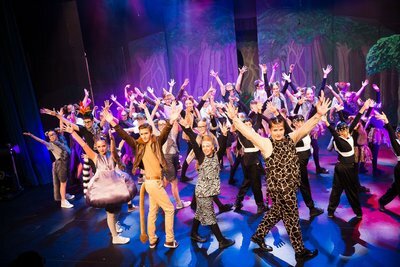 Madagascar - A Musical Adventure Jr roars into South Oakleigh for the autumn school holidays. Starting in Central Park Zoo in New York, Marty the Zebra (Mali Anderson) leaves the safety of the zoo to peruse his birthday wish adventure of freedom. Friends Alex the Lion (Byron Bulluss), Melman the Giraffe (Jordan Ratumu) and Gloria the Hippopotamus (Tiahna Nickels) try to save him. However due to some conniving penguins (Niki Georgas, Stefan Krozian and Megan Phoon) they find themselves 'moving it' on King Julian's (Soren Adkin) Madagascar. Victoria Randall and team have produced a fantastic fun filled musical, suitable for the entire family. 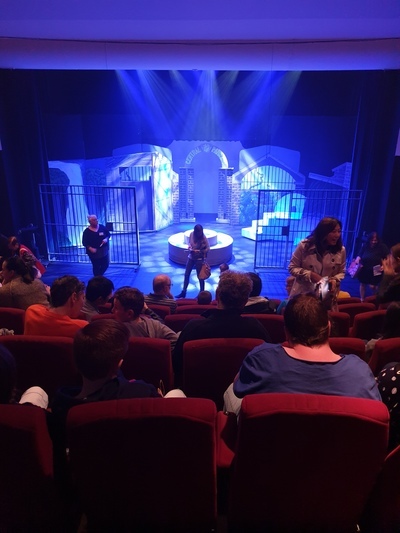 Congratulations to the entire cast and crew of Players Theatre Company for an animal-tastic production.